A woman may be quiet but that doesn’t mean she isn’t strong. She may be vivacious and yet sensitive; wear trendy clothes but be traditional at heart. A woman cannot be defined by just one aspect of her personality. 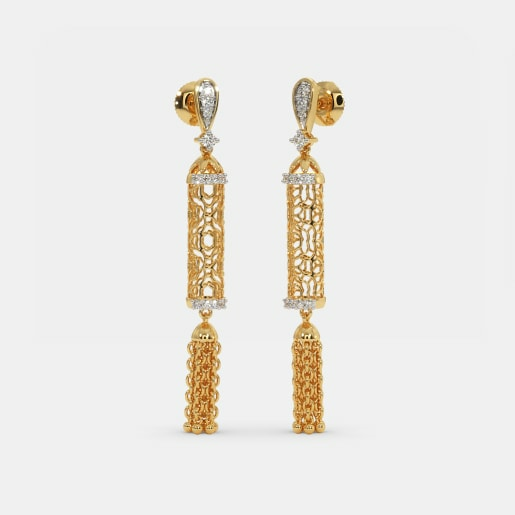 If there is a piece of jewellery that reflects the multiple facets of a woman’s persona, that is – yes, you guessed it right – the multistone earrings. 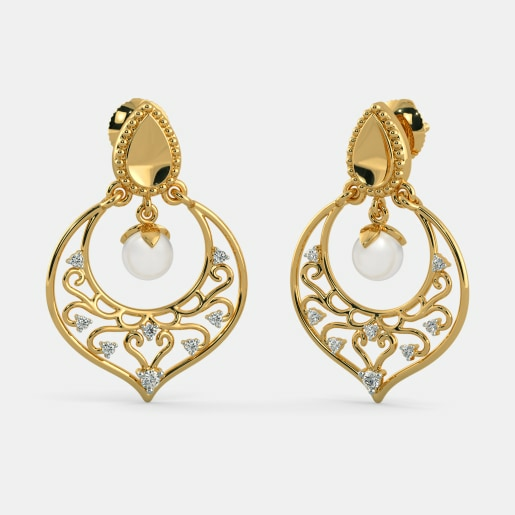 A pair of earrings – be it a small stud, an oversized hoop, or traditional jhumka – enhances the beauty of a woman’s face instantly and by several notches. 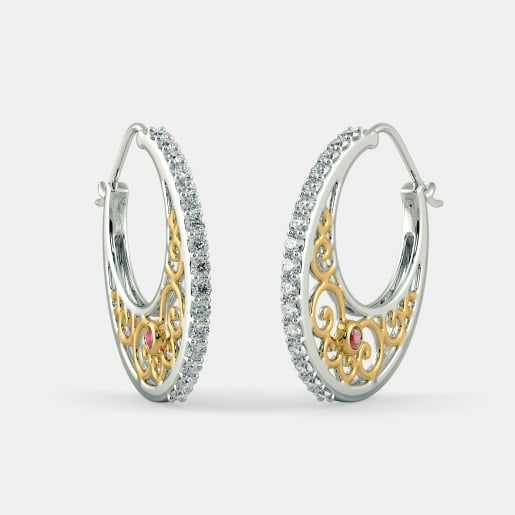 And when these designs are studded with multiple stones, the charm they radiate is without parallels. That’s why we at BlueStone believe every woman should have a pair of multistone earrings in her collection; and that’s why our designs have created a mind-blowing range comprising of studs, hoops, jhumkas, drops, chandeliers, and much more made of yellow, white, and rose gold. Ah, diamonds! 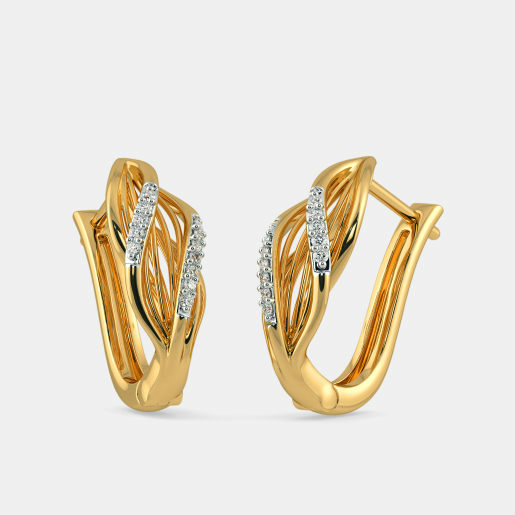 Those twinkling, starry stones are enough to make you dazzle like a diva. 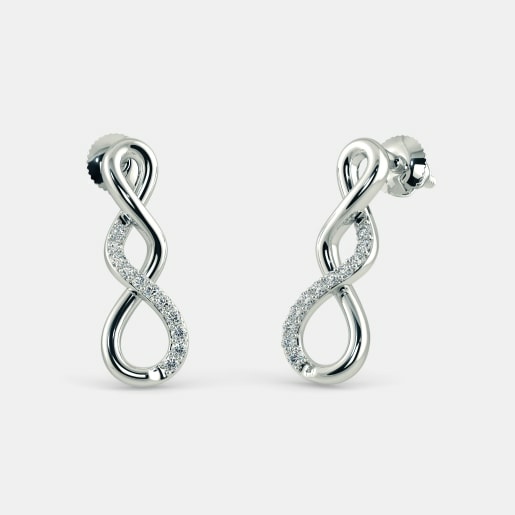 Our multistone earrings collection includes a fascinating array of pieces studded with diamonds. 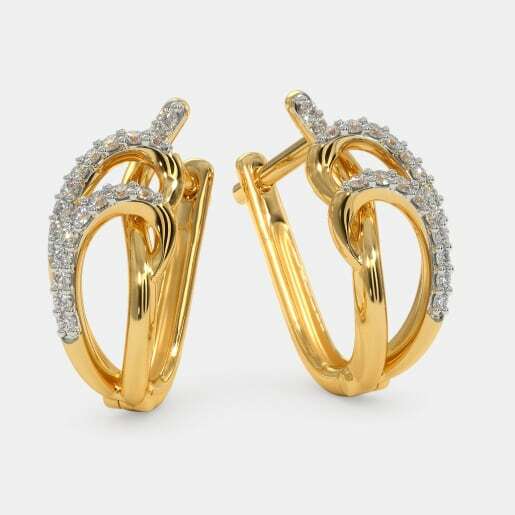 When you buy multistone earring designs, you will notice that they vary in terms of the number and type of stones, the designs they are set in, and the type of gold being used. Keep this in mind when you compare multistone earring prices. 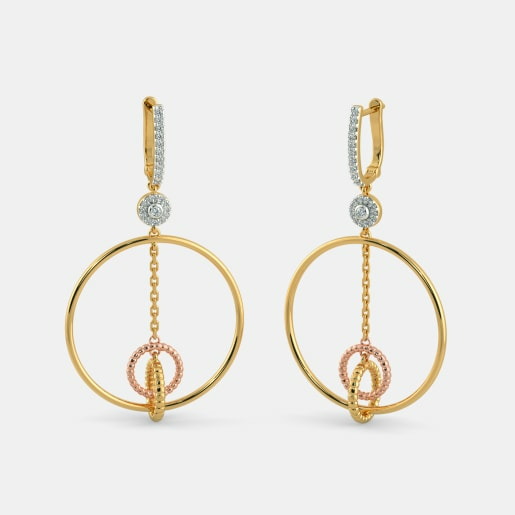 For example, the Auste Earrings, the Aabha Earrings, and the Astarte Earrings are all simple studs and may look the same at first glance; the number of stones featured on each of them, however, differs. 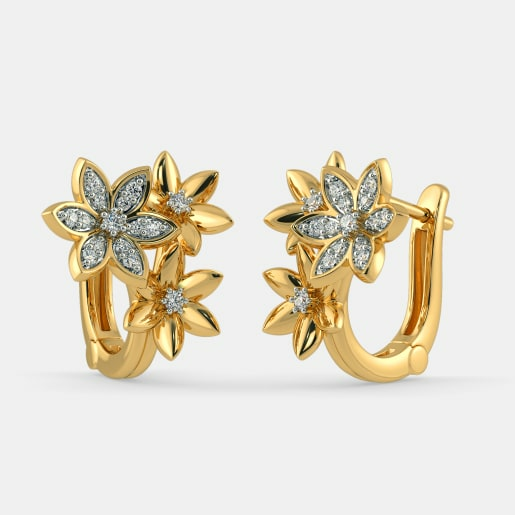 Likewise, the Floria Earrings, the Quilo Earrings, and the Life in Bloom Earrings are designed in the timeless floral theme, but they are made of white gold, rose gold, and gold, respectively. 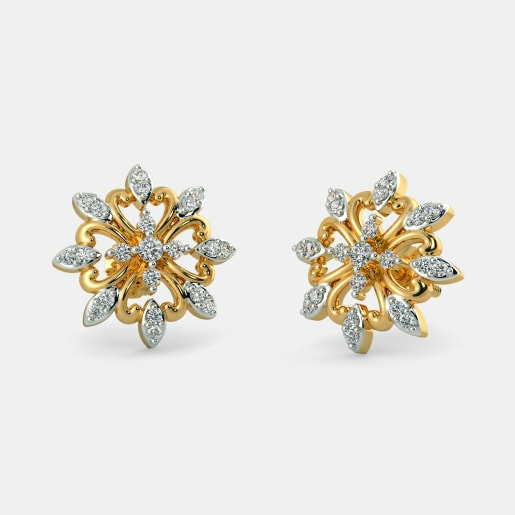 Multistone diamond earrings come in a variety of styles too – from studs, danglers, and hoops to jhumkas and Sui Dhagas. 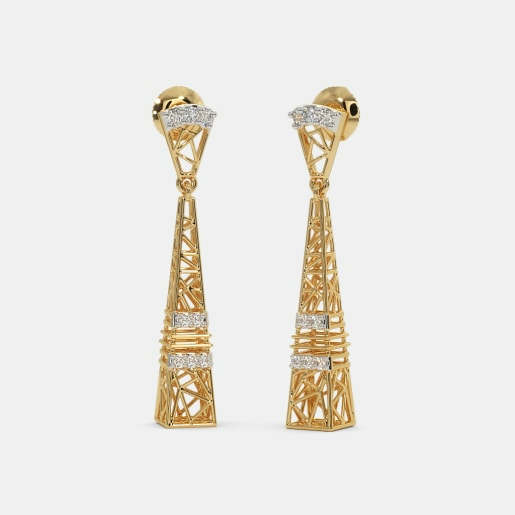 So no matter what your personal style is, you are guaranteed to find a pair that matches your favourite earring style. 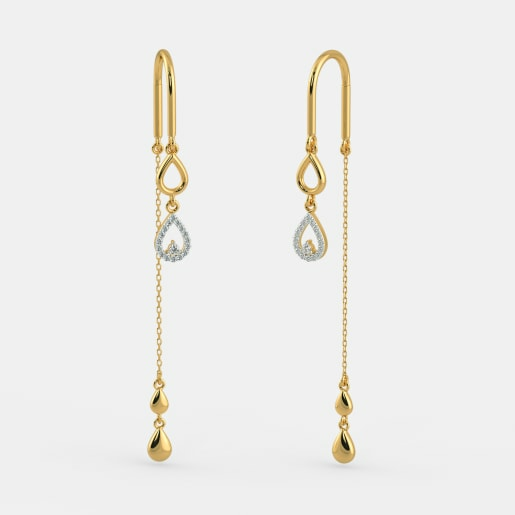 The Mojito Earrings and the Aashia Earrings are our favourites in multistone diamond studs, but if we had to choose a favourite pair of diamond drops, we probably wouldn’t be able to decide between the Anise Earrings and the Roksana Jhumka. Diamonds are a girl’s best friend but her clique wouldn’t be complete without rubies, sapphires, and a few emeralds as well. This is why our designers created a range of multistone earrings with all these precious stones. 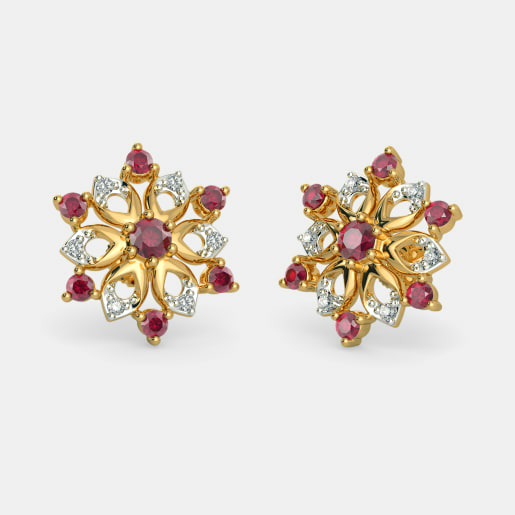 If you like emeralds, take a look at the Nurla Earrings but if rubies and sapphires are what you want, we’ve got the Flowerona Earrings and Floral Daze Earrings for you. 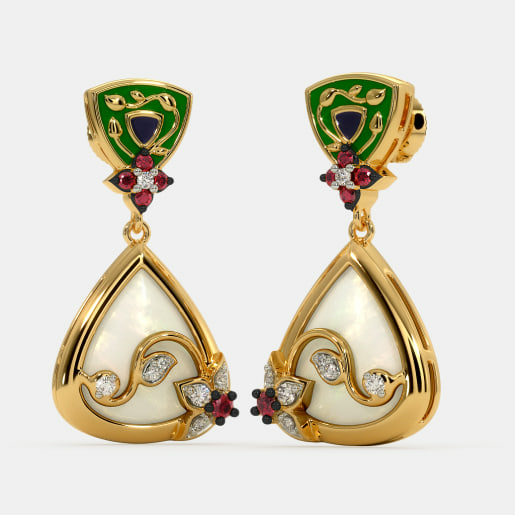 And, then there’s the Rajeshwari Earrings with emeralds, rubies and diamonds set in white gold. Lovers of pearls, rose quartzes, blue topazes, and aquamarines, despair not. You will find your favourite piece in our vast gemstone collection that includes signature pieces like the Doris Earrings, the Ruth Heart Earrings, the Paloma Earrings, and the Besotted Dazzle Earrings. Got a thing for citrines or amethysts? 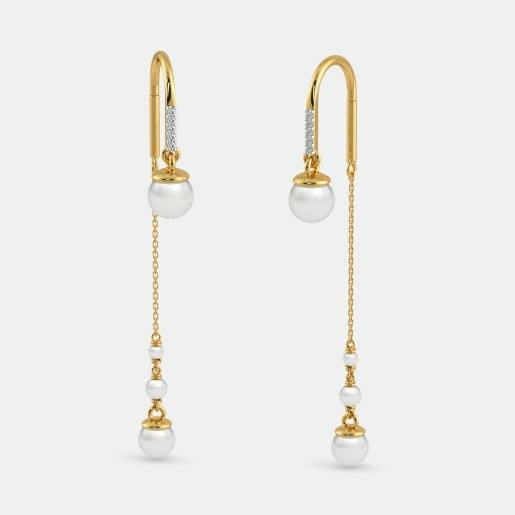 Take delight in our Origa Earrings or the Aramel Earrings. 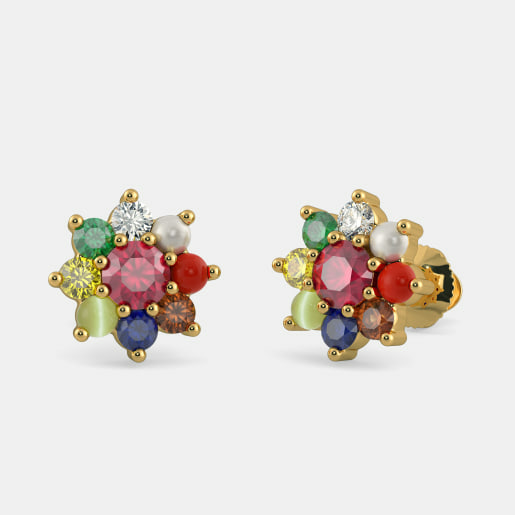 Navaratnam earrings are a special type of multistone earrings that are designed as a combination of nine gems. These quintessentially Indian designs are a colourful feast to your eyes, not to mention the variety of outfits they blend with. Our multistone earring collection includes exquisitely designed navaratnam earrings to up your bling quotient. 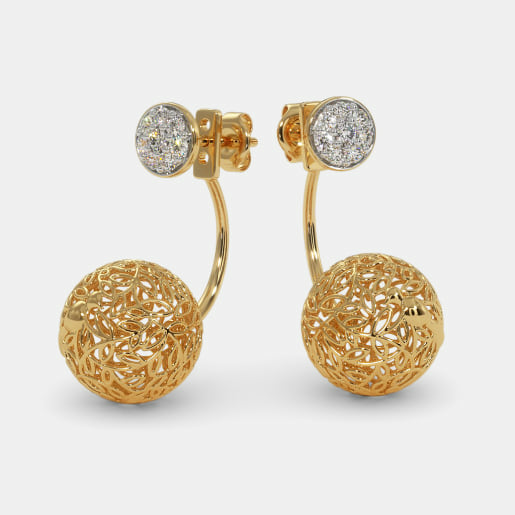 The Rajkanya Earrings and the Divya Prabha Earrings are for the lovers of simple studs. 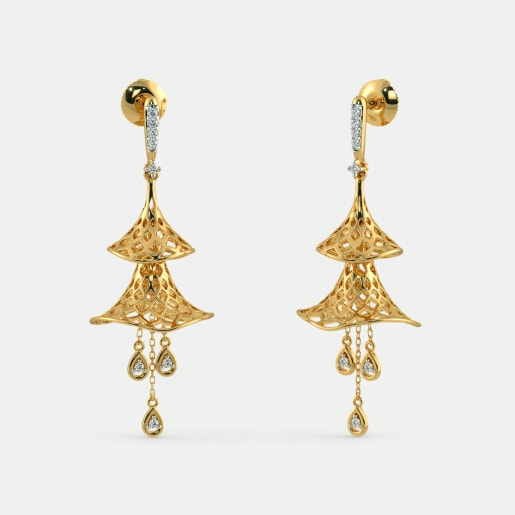 Our signature pieces like the Pushpanjali Earrings and the Bhumi Suman Earrings have a traditional appeal but designs like the Neer Ratna Earrings and Ambar Kosh Earrings complement western wear as well. It is a misconception that jewellery is meant only for women. If you look at a picture of the royal courts of the Nizams or the Mughals, you will notice that men wore as much jewellery as women. In some villages of rural India, even today, little boys get their ears pierced at the same time as their sisters. At BlueStone we have a range of multistone earrings designed especially for men. 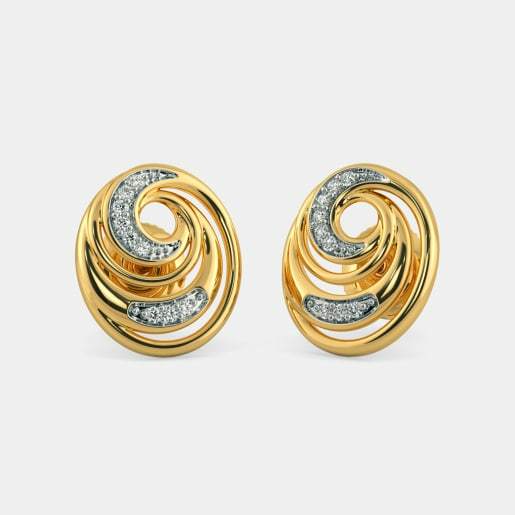 The Savoir Earring for Him in gold and the Savant Earring for Him in white gold are two of our most popular designs. Other hot picks in our men’s multistone earring collection include the Homme Earring for Him and the Deonte Stud for Him. 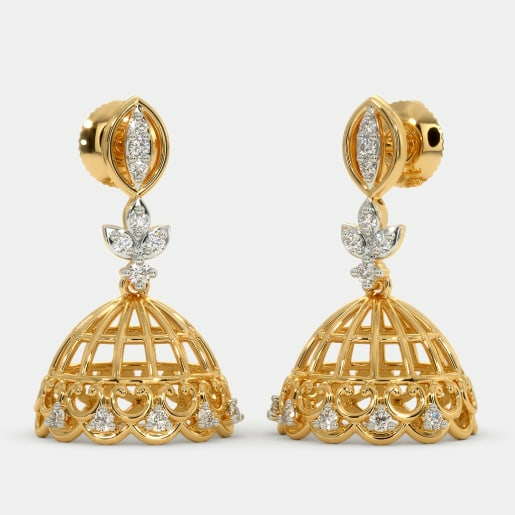 At BlueStone, we feel that each design, be it the Shakuntala Earrings, Mayurakshi Earrings or the Giada Earrings, is a masterpiece in itself and says something special about the woman who sports it. 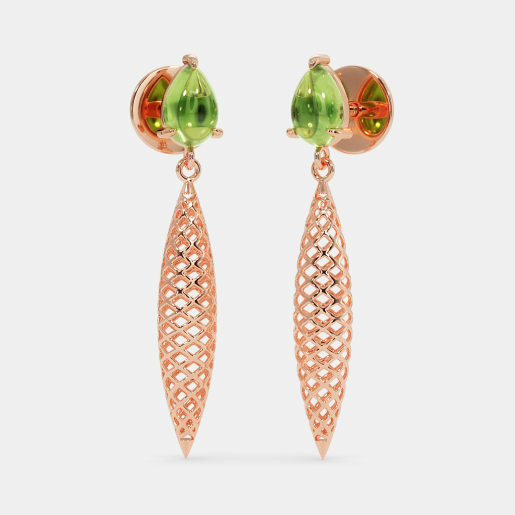 For example, a woman who likes the Amla Earrings would probably favour ethnic styles while the Mariane Earrings or Anise Earrings would be better suited to a young woman who was still finding her passion and independent style statement. 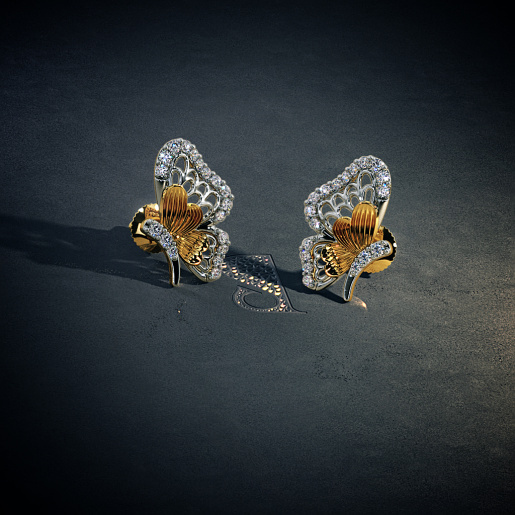 Similarly, the Adored Togetherness Earrings or Lindsey Butterfly Earrings are apt for a young girl to wear to college or on her first day at work. Our kid’s collection has cute, colourful, and lightweight pieces like the Pretty Butterfly Earrings for Kids and the Pink Flaura Kids Detachable Huggies to adorn the ears of your little ones. 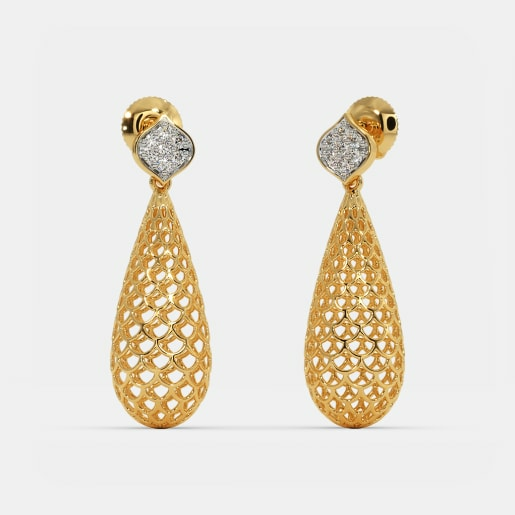 One pair of earrings is never enough for a woman, so why should she have to settle for earrings with a single stone? 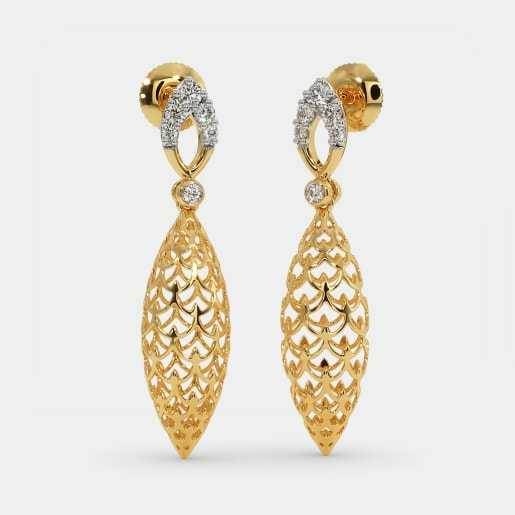 Browse through over 900 multistone earring designs and pick your favourite. 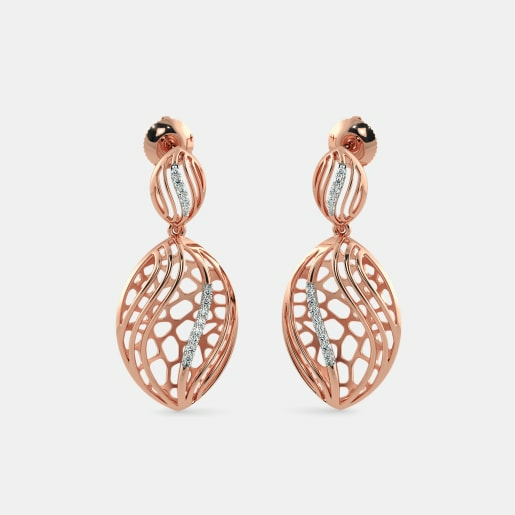 If you can’t make up your mind between two or more pieces, we’ll even send you the earrings home so you can try them on before making your final pick.